Imagine the possibilities of what an outdoor storage shed in your garden can provide: easy access to your tools and yard gear; a fun and creative play shelter where kids can engage their imaginations; a relaxing outdoor retreat to enjoy after a hard day at work; a protective shelter for your supply of winter firewood. The possibilities are truly endless. 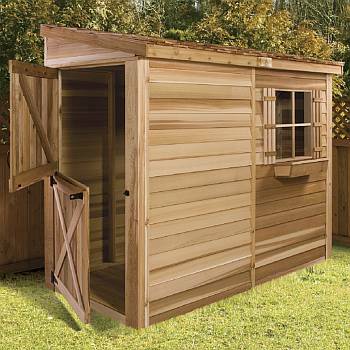 Outdoor wood storage sheds provide a convenient space to keep tools, cushions and lawn equipment. Many of our wood storage shed kits are available in western red cedar in beautiful designs that enhance the look of backyards, pations and gardens. 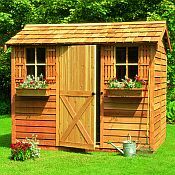 Many of these wood storage sheds are styled to resemble cottages and barns and come customizable with windows, double French doors, flower boxes and more. 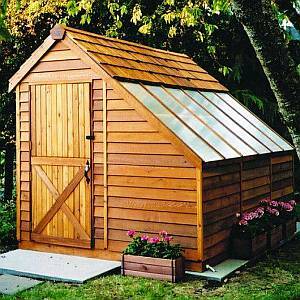 A wide variety of sizes from small to large wood storage sheds kits are available. Large barn sheds with spacious interiors to unimposing small bike sheds. 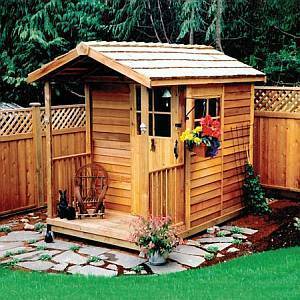 For do-it-yourselfers, we offer storage and garden shed kits to allow for maximum customization. 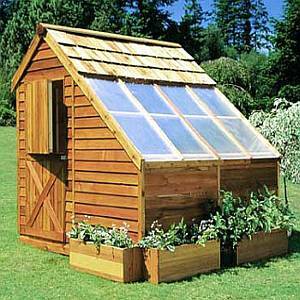 Garden shed kits can be especially useful for the avid gardener who needs a space to store their tools and supplies. Inherently, wood storage sheds are great for storing items outdoors, but they can also be used in creative ways. Add a charming wood storage shed behind a low deck as a wall or railing. Set up patio furniture on the deck in front of it, and use the shed as a bar area. Build a bar inside the shed and prop the doors open during parties or special occasions. 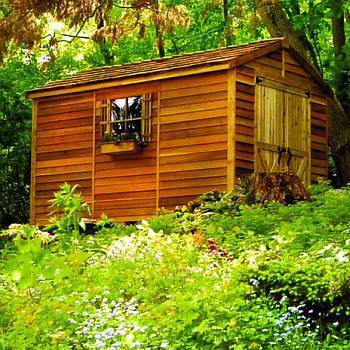 Some convert larger shed buildings into a Man Cave, She Sheds or even Tiny Houses. 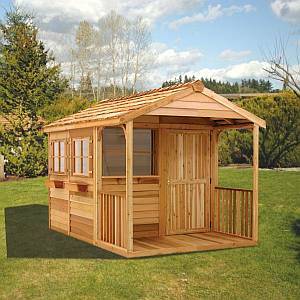 BackyardCity's collection of wood storage shed kits have a variety of options that will fit into any landscape. 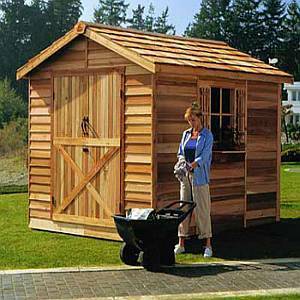 Cedar wood sheds boast stylish accents that create an inviting outdoor envinronment and helpful storage space for lawn equipment and tools. Whether you choose from our ready to assemble panelized products or our want to make it a DIY storage and garden shed kit project, our wood sheds will be a fabulous addition to your home! We offer free shipping on just about every wood storage kit order, so buy sheds today and have them shipped free. How long does it take to build a storage shed? It depends. Larger sheds take more time. Your skills with tools have a big impact too. 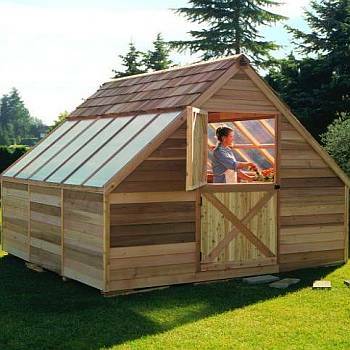 Most of these shed kits can be erected in a day or weekend. 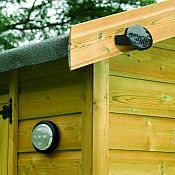 What tools do I need to build a shed? Usually just basic tools like a hammer, screwdriver, level & saw. 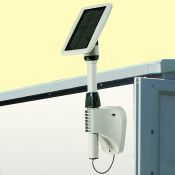 There are power tools and other tools that make it easier, but are not required. Many have attempted and assembled their shed kit by themselves. They all said they wish they had a helper. We agree. It goes up quicker and easier with at least one helper! 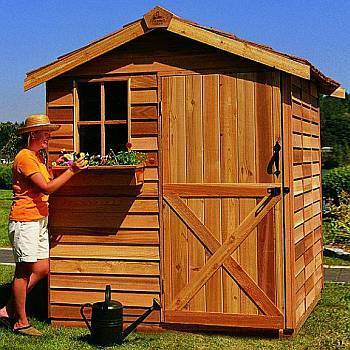 Will you really save Money with a DIY Storage Shed Kit? For any storage shed kit below, do-it-yourself could save you 40-60%, on average, over having a local company build the same item.